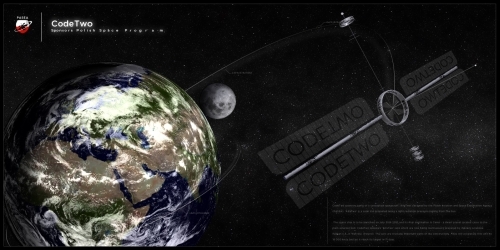 CodeTwo sponsors parts of a spacecraft ‘AlfaTwo’ designed by Polish Aviation and Space Exploration Agency (PASEA). ‘AlfaTwo’ is a solar sail propelled using light radiation pressure coming from the Sun. The space ship is to be launched on July 30th 2010 and its final destination is Ceres – a dwarf planet located close to the main asteroid belt. CodeTwo sponsors ‘AlfaTwo’ sails which are now being meticulously prepared by Zaklady Lniarskie Pawian S.A. in Wykroty (Poland). The sails are crucially important parts of the construction – they will accelerate this UAV to 19 000 km/s and let it reach its target in 71 days. We also keep our fingers crossed for our partners from Switzerland who are responsible for focusing the sunlight that will be redirected to AlphaTwo sails. Talking about space exploration dreams… Does Elite or Frotier title rings a bell? And now, just few years after playing those games, we actually take a small part in the real deal… Gives me goosebumps.